towards Pittsburg. We held the Bull Run mountains. of prisoner’s (infantry men) from Longstreets Corps. ficers. He then ordered his prisoners to be shot. mond. He thinks now that Pittsburg is threatened. Wilderness, etc.) Manuscript Document, (signed Clerical copy). Headquarters Penn’a Reserves at Uptons Hill Va.: 21 June 1863. 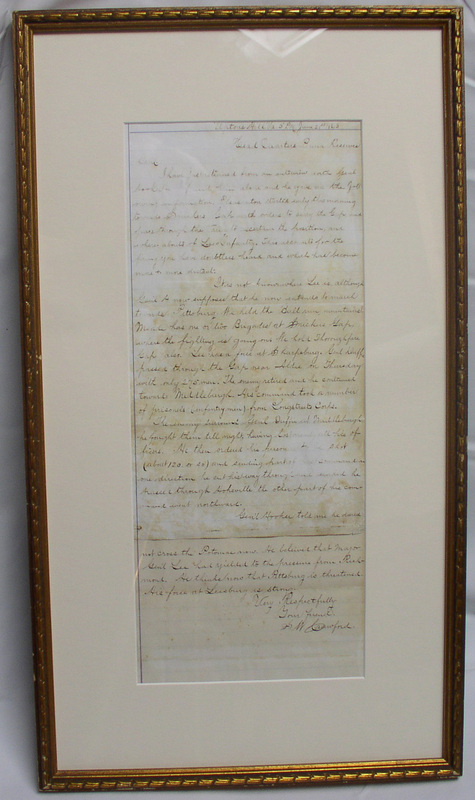 This may have been Crawford’s retained copy. Union army who built a large masonry fort and observation tower their. actions and these movements are considered the start of the Gettysburg campaign. in the Battle of Gettysburg. Brig. General, Samuel W. Crawford​ U.S.V. on Confederate and Southern States notes and their history. FAYETTEVILLE OBSERVER. 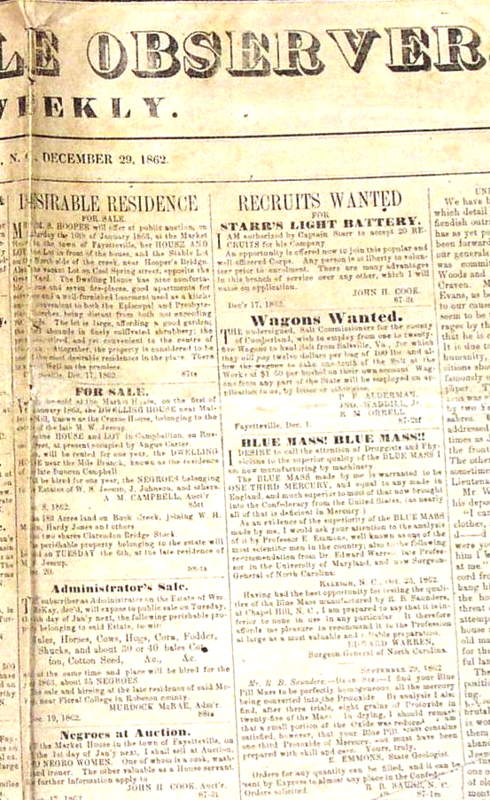 Original December 1862 issue. A rare NC rebel paper, it was only published every two weeks. Charleston Daily Courier. "CONFEDERATE STATES OF AMERICA"
Proudly printed on the mast head for all to see. September 1863 issue. 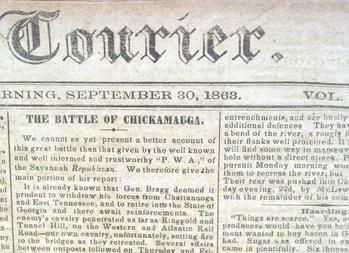 Interesting war features including front page BATTLE OF CHICKAMUNGA. for Sutler collectors. Paper cover pamphlet. with many war related articles. involved with the 34th Infantry from Herkimer NY.